Since Clarise started school 5 years ago, she has always been bringing homemade snacks and lunch to school. This is because she hates cafeteria food and the the long lines she has to go through before she could eat lunch. 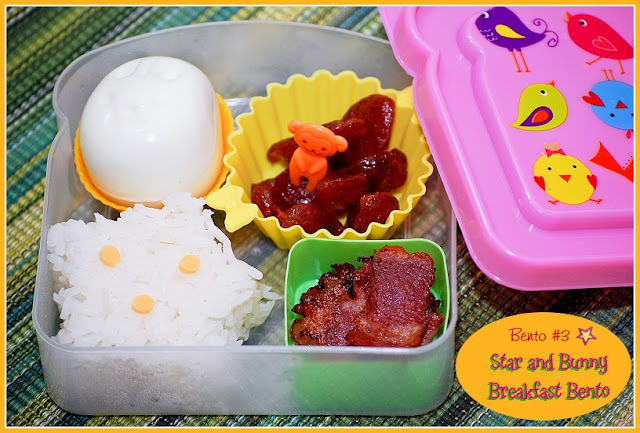 Since her kindergarten year, I've always tried my best to wake up early so I could prepare breakfast as well as packed snack and lunch for her & Ryan, that we Filipinos call "baon". Baon is basically the same as bento which is Japanese home-packed meal in box-shaped container, the only difference is that baon is usually not elaborately arranged and may come in whatever container (baunan) available, which in Clarise's case is Ziploc® sandwich or snack bags and sometimes, Ziploc® containers. Clarise hates having lunch boxes to take care of after eating. She's the type who prefers disposable containers so she can just throw everything into the garbage after eating. 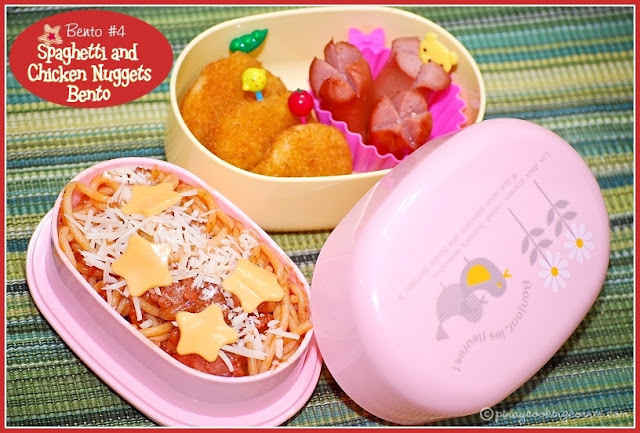 When my friend, Anna started posting pictures of the bentos she prepares for her kids on Facebook last year, I thought it would be nice if I could try making some for Clarise too. I showed her the pictures. She said "'they're cute but I don't like it. Besides, it would be added work for you, Mom". I wasn't sure if she really didn't like it or she was just being considerate to me. But after giving it a serious thought, I realized that she's right...I might not have enough time to prepare pleasingly arranged bentos, so I better stick to the usual simple baon I'm comfortable doing. This is my first experiment with cutters and egg molds. Prepared on July 12, 2011 for the girls' take out snack on our way to the library. *I wasn't able to take a good picture of Clarise's, but it was the same except that she had more chicken nuggets. I've seen how much Cherlin enjoyed eating her bentos. And to my surprise, I saw the same thing with Clarise. The big grin on her face seemed to be telling me that she's sorry for saying that she didn't like cute bentos. 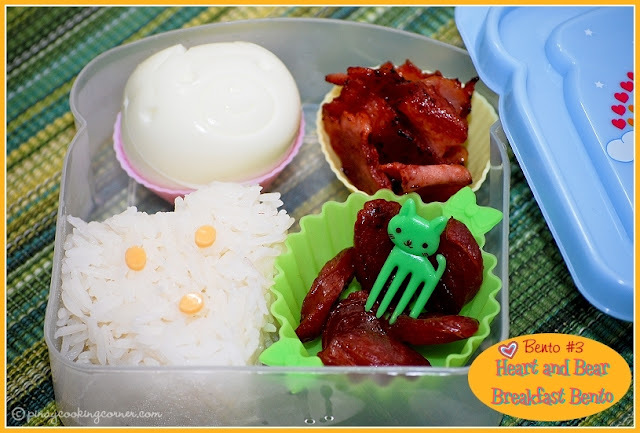 Practice makes perfect and I'm sure very soon you make very nice & cute bentos! 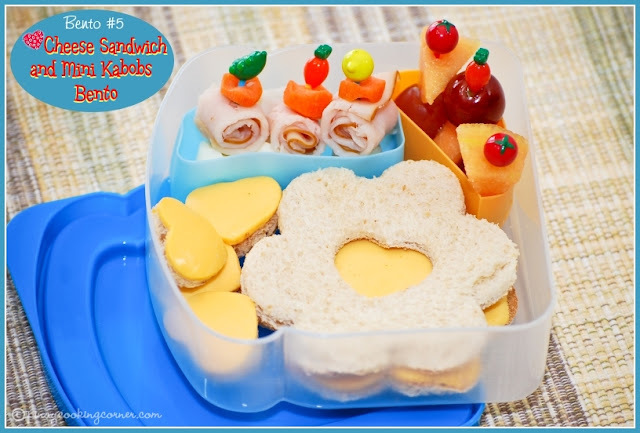 I miss those days when I prep up lunch boxes for my kiddies too. If I were a kid, I'd look forward to going to school if these were my bento boxes. It looks yummy first off, then second delightful and cheery and I'm sure the other classmates will get jealous! LOL! Great to meet you Tina! Thanks for dropping by. I hope to see you around the blogosphere Kabayan! @Malou: Thanks for dropping by! I'm truly glad to meet another Pinay in the blogosphere! More power to you and your blog! 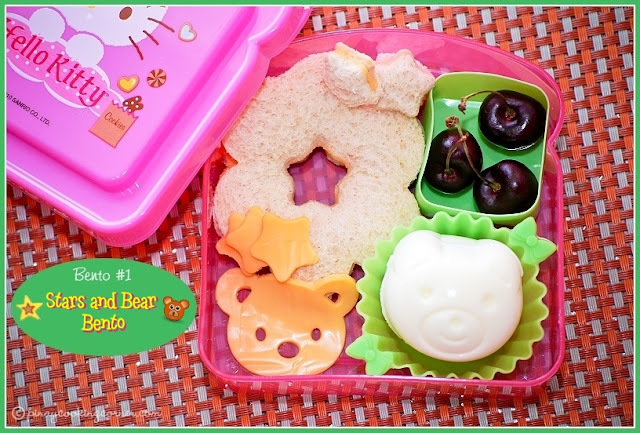 I wish I knew about bentos when my kiddos were younger...so much fun to make healthy choices look ultra-appealing! @Rachel: When we were still in the Phils, there's this Japanese grocery store in San Antonio Village, Makati which sells Bento boxes & accessories. Hatchin is the name. And there's a Daiso store in Alabang Town Center. I'm just not sure if they are still there. :) You can also try Gift Gate. They sell Sanrio Bento boxes and accessories but they're more expensive. I don't always make very detailed kinda bentos too, only when I feel like doing or when the girls request, otherwise I'm also making fast, easy & simple ones. Lovely combination and kids will simply love it for the creative way you have done it. I have to agree that home food is still the best, what more with so much of love in preparing it. wow tina! galing! excited to make this for my little girl! thanks for the inspiration! 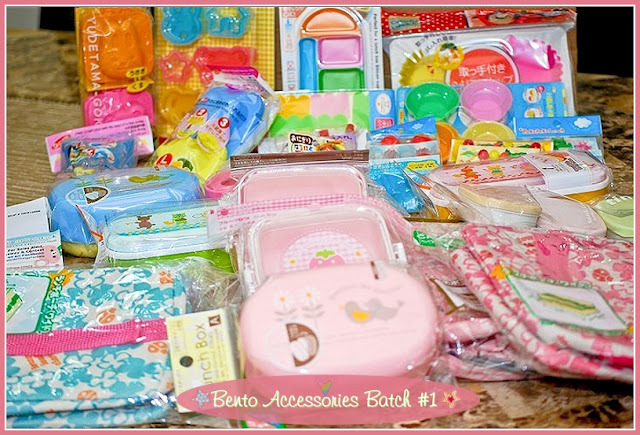 @Lynette: I'm pretty sure Bea will love bentos! I love her lunch box! You made everything so colorful that I want to eat it :D Amazing! WOW WOW WOW WOW :) So kawaiiiii!!!! There are two things I learned about you so far... just from reading your blog: you know how to make foods look appealing not only to adults but also to kids and they are healthy!!!! these are so cute. I've got some similar equipment and can't wait to start making bento boxes for my kids. but they're still too young to take these to school though. The animal shaped hard boil eggs are so so so cute. I gotta check my local Japanese store to see if I can find them. :) Thanks for sharing. I'm sure your kids are excited to open their boxes every day now. Aawww these look so cute :) And for the first attempt itself you made it looks so perfect. I bet it will make a kid smile and enjoy food double the more. 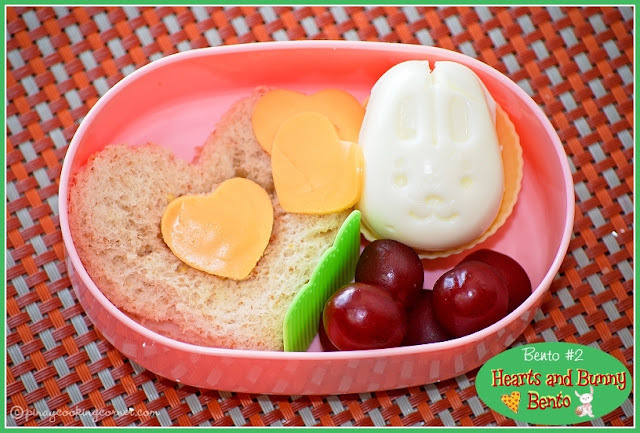 I just love the idea of bento boxes...any food would look more appetizing to the kiddos when cut in a cute little shape. and yours look especially well done! Lovely indeed! Nice to meet u, Cristina! Looking fwd to sharing our bento journey :) Do chk out mine too! When we were still in the Phils, there's this Japanese grocery store in San Antonio Village, Makati which sells Bento boxes & accessories. Hatchin is the name. And there's a Daiso store in Alabang Town Center. I'm just not sure if they are still there. You can also try Gift Gate. They sell Sanrio Bento boxes and accessories.